FDL Big Brake Front Hub Kits provide the added advantage of larger diameter brake rotors for traditional non-ABS spindles on American muscle cars and vintage rods. 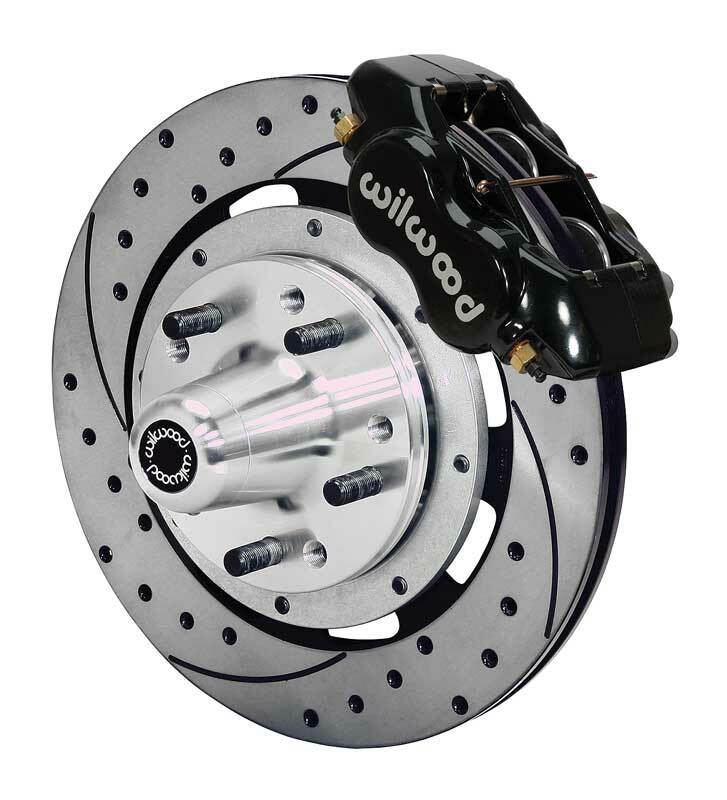 Forged billet Dynalite calipers, 12.19" diameter rotors, hub offset: +.27, and high performance Wilwood brake pads generate big brake stopping power to compliment wheel, tire, and suspension upgrades on all types of custom show and performance street / strip machines. A full range of options for caliper finish and rotor design provide custom builders with the ability to personalize the style and performance requirements of the mildest to the wildest machines. Flex hoses are not included. OEM brake lines will not adapt to Wilwood calipers. We recommend purchasing part # 2207699 Wilwood Stainless Steel Braided Flexlines with this kit. 14" disc brake offset wheels may fit. 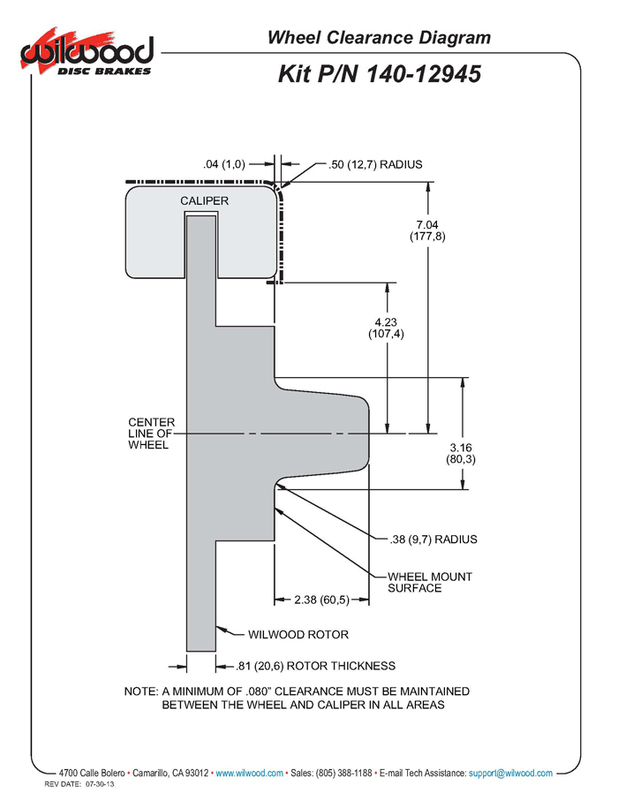 Check Wheel clearance with Wilwood's Clearance Diagram. Not for use with aftermarket or drop spindles. 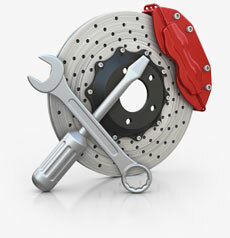 Important Brake Fluid Note: Wilwood suggest using DOT 3 or DOT 4 brake fluid in all of their brake components. DO NOT USE DOT 5 SILICONE FLUID.